For people who drink alcohol frequently, it is easy to develop drinking problems. According to a recent study done by Penn State researchers, alcohol abuse is much more than just drinking too much. Alcohol abuse can include many symptoms, from drinking more or longer than intended, to more severe symptoms like experiencing withdrawal symptoms when not drinking alcohol. In the study, the researchers analyzed data from a nationally representative group of 5,402 participants and found that there are five major drinking problems people may have. Difficulty cutting back: People with this drinking problem find it hard to cut back on their problematic drinking. Alcohol-induced injury: In addition to drinking too much, people with this problem could easily run into risky situations during or after drinking and may get injured easily. 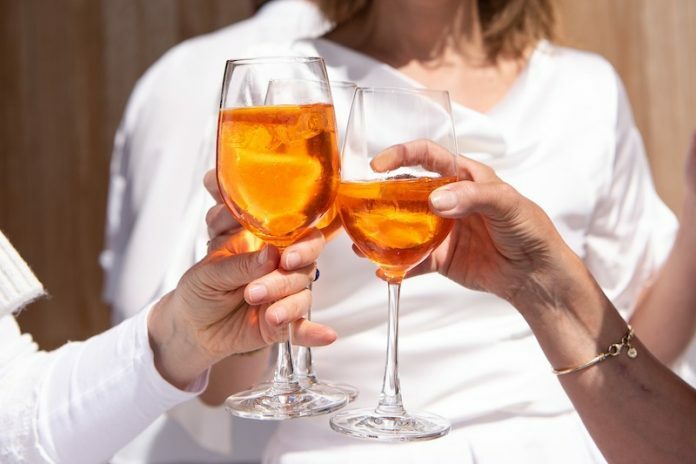 Highly problematic, low perceived life interference: People with this type of drinking problem may experience many symptoms, but it seems drinking does not interfere with family, friends, work or hobbies. Adverse effects: People with this drinking problem usually experience hangovers or withdrawal symptoms in addition to drinking too much. Highly problematic: People with this type of drinking problem experience all symptom of alcohol use disorder. The team found that the five types of problems had different symptoms and some problems were more common at different stages of life. For example, young people were more likely to have adverse effects and experience hangovers and other withdrawal symptoms. Older adults in their late 50s to 60s were more likely to struggle with cutting back on their alcohol use. The researchers suggest that diagnosing and treating alcohol use disorder is not one size fits all. Doctors need to consider the patient’s specific symptoms and use personalized treatment and intervention. In the future, the team plans to use the same method to look at the different classes of alcohol use disorder over time. The study is published in the journal Alcohol and Alcoholism.